We use various spices, herbs and condiments to enhance the flavour of our food. Some of them are used regularly while others sparingly.In culinary practice their health benefits are not given due consideration. Here are the health benefits of ten taste enhancers that are readily available in our kitchen. It is an antiseptic and an anti oxidant. In India, where it is readily available, turmeric is used as an antiseptic for cuts, burns and bruises and also as an anti bacterial agent. Turmeric reduces pigmentations on skin. Taken as a dietary supplement, it helps reduce stomach troubles. It is known to fight diarrhea. Turmeric is a natural liver detoxifier. Turmeric is being investigated for its potential benefits in conditions of Alzheimer’s disease, cancer and liver disorders. Turmeric is used in Chinese medicine as a treatment for depression. Garlic is a powerful natural antibiotic. Aged garlic has a powerful anti oxidant effect. Garlic can regulate blood sugar, reduces cholesterol. It can reduce blood pressure too and can therefore reduce the risk of heart diseases and stroke. Garlic improves circulation and prevents blood clots from being formed. Garlic aids in digestion. It is an excellent remedy for whooping cough. During pregnancy, garlic reduces the risk of developing high blood pressure and boosts the weight of the baby in the womb. Garlic has beneficial effects in clearing acne. Ginger is very helpful in promoting digestion. It helps to digest fatty food and can reduce flatulence. It relieves diarrhea. It relieves cramps and nausea, therefore is very much helpful in menstrual cramps, morning sickness and motion sickness. Ginger helps to knock out fever. It is a natural decongestant and an anti histamine, so helps clear colds. Ginger helps reduce inflammation and is helpful in arthritis. Ginger prevents blood clots from being formed. It is a great mood enhancer. It is of course a natural mouth freshener. Oregano has anti bacterial properties, it is an anti oxidant. It has an anti fungal and anti parasitic action too. It is rich in fibre and improves digestion. The high fibre content reduces the risk of colon cancer as well. It is useful against a food-borne illness, giardiasis. Oregano is an effective pain killer. It relieves spasms and cramps. Oregano increases the menstrual flow. Oregano is good in maintaining respiratory health. Cumin is helpful in the treatment of skin conditions like psoriasis, eczema and dry skin. It strengthens nails and hair. Cumin help control flatulence, stomach aches, indigestion, diarrhea and nausea. Cumin is high in fibre and is useful in the treatment of piles. Cumin is a natural medicine in treating asthma. Cumin has a tranquilizing effect, helps overcome insomnia. Cumin is a good memory booster. Cumin is an anti oxidant. Cumin boosts the liver to function better. Cumin is known to regulate blood pressure. Cumin regulates menstrual cycle and improves lactation. Honey is an anti oxidant and antibacterial, antifungal agents. As an external application it ensures smooth skin. Honey is effective in wound management. Honey has properties to cleanse the blood.It facilitates blood circulation. Honey is an excellent digestive aid. It relieves stomach ache, stomach ulcer. In the treatment of diarrhea it promotes rehydration. Honey can be used to relieve cough and sore throat. Fenugreek can balance cholesterol, reduce blood sugar. 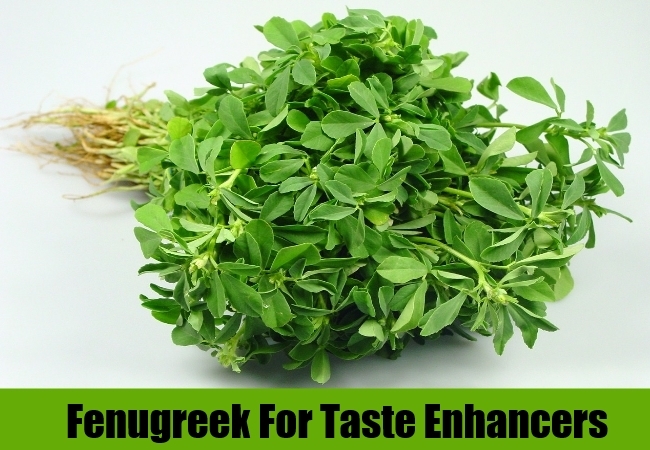 Fenugreek is a home remedy for fever, provides a natural cure for heartburn, aids digestion.Fenugreek can be used in treating dandruff, it strengthens hair too. Fenugreek can induce child birth in pregnant woman, aids milk production in lactating woman. It can be used for breast enhancement. Asafoetida is an anti oxidant, it is helpful in bringing down inflammation. It helps in relieving stomach related diseases. It may be helpful in preventing carcinoma and sexually transmitted diseases.Asafoetida reduces blood sugar and cholesterol. Asafoetida can be used to treat numerous disorders in children. It is useful in asthma and bronchitis. It relieves spasms, removes gas and worms. Cloves is a home remedy to relieve tooth ache and get rid of bad breath. It is a natural anaesthetic. It has antibacterial, antifungal, antiviral and antiseptic properties.Cloves removes flatulence, promotes digestion and metabolism, relieves vomitting and diarrhea. Cloves ease coughing and headache. Cloves boost immune system by purifying blood and helps fight various disease. Curry leaves aids digestion. It is helpful in managing diabetes and cholesterol. Curry leaves can be used for hair problems such as dandruff, hair fall and graying of hair.